ALL MONEY MADE GOES TOWARD COLLEGE FUND! My name is Nathan Etheridge and I am a senior at Blessed Trinity High School. A friend of mine, Christian Wood who is also a senior have started a holiday business. 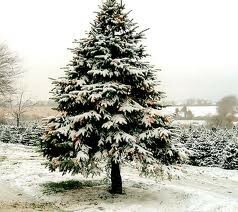 Our business takes Christmas trees out of your home and out of your way. We understand that Christmas tree removal is a hard process and can consume a lot of time. Because of prior experience in this area we would like to do the removal for you! The charge is a flat rate of $10.00 no matter what size your tree may be. The best part of our business is that all money goes toward our college funds. Please help us so we can help you and make your life easier! All tree removal appointments must be made one day in advance. This gives us time to get around the area and help the most people we can. We can be in and out of your house within 20 minutes of arriving. Please contact one of the following phone numbers below one day before you would like your tree to be removed. Both of these numbers are our personal cell phones and will be on us at all times. We are available everyday of the week from 9am to 6pm.